WHO, TGA, GMP certification and US FDA approval. A modern quality assurance, quality control, microbiological and PD Laboratory with the latest high tech equipment. Fully automated with electronically controlled operating system as per Good Automated Manufacturing Practice guidelines. Sophisticated Effluent Treatment Plant (ETP) with a capacity of 100,000 litres per day. Conforms to international environmental, health & safety regulations. 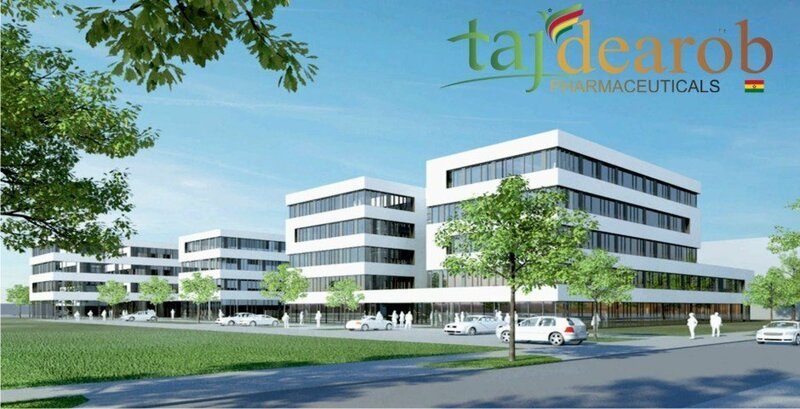 Infrastructure – Taj Dearob Pharma | At Taj Dearob Pharma, we have eight manufacturing sites situated worldwide. Our state of the art facilities have international accreditation such as WHO, TGA, GMP certification and US FDA approval.Infrastructure – Taj Dearob Pharma | At Taj Dearob Pharma, we have eight manufacturing sites situated worldwide. Our state of the art facilities have international accreditation such as WHO, TGA, GMP certification and US FDA approval.Infrastructure – Taj Dearob Pharma | At Taj Dearob Pharma, we have eight manufacturing sites situated worldwide. Our state of the art facilities have international accreditation such as WHO, TGA, GMP certification and US FDA approval.Infrastructure – Taj Dearob Pharma | At Taj Dearob Pharma, we have eight manufacturing sites situated worldwide. Our state of the art facilities have international accreditation such as WHO, TGA, GMP certification and US FDA approval.Infrastructure – Taj Dearob Pharma | At Taj Dearob Pharma, we have eight manufacturing sites situated worldwide. Our state of the art facilities have international accreditation such as WHO, TGA, GMP certification and US FDA approval.